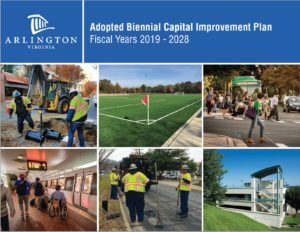 The County Board adopted the FY 2019 – FY 2028 Capital Improvement Plan (CIP) on July 14, 2018. 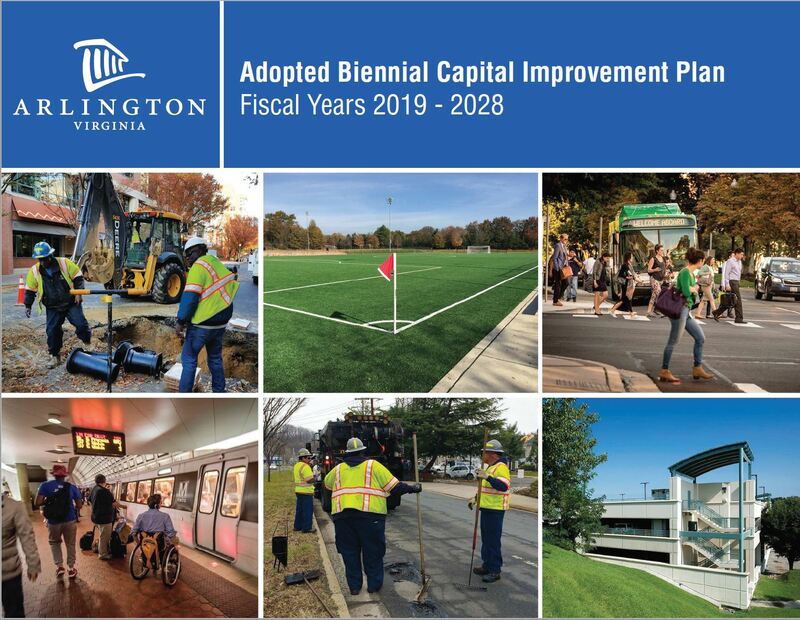 The plan recommends funding $2.8 billion of County capital projects and infrastructure, and $600 million of Schools capital projects, for a total combined CIP of $3.4 billion. As part of CIP adoption, the County Board provided CIP guidance to the County Manager regarding several programs and projects. A copy of the guidance is below. CIP funding comes from a variety of sources, including bonds, pay-as-you go funding, dedicated taxes for transportation & stormwater investments, and water-sewer user fees. A significant portion of the plan comes from general obligation bonds which are authorized by the Arlington County Board and subject to approval by Arlington County voters.The proposed CIP adheres to the County’s debt and financial policies, which are critical to maintaining the County’s triple-Aaa bond ratings.